I just saw Red Riding Hood and there are many, many thoughts swirling through my head. 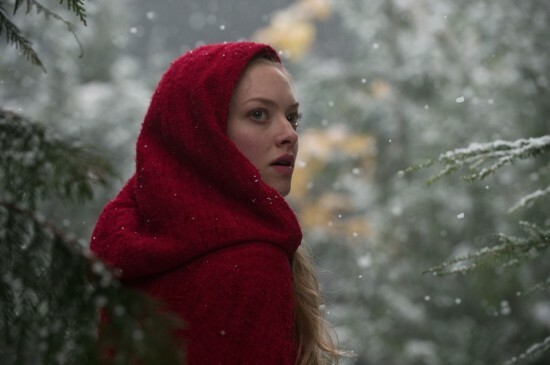 Amanda Seyfried stars as the very period appropriately named Valerie, the movie’s version of Little Red Riding Hood. 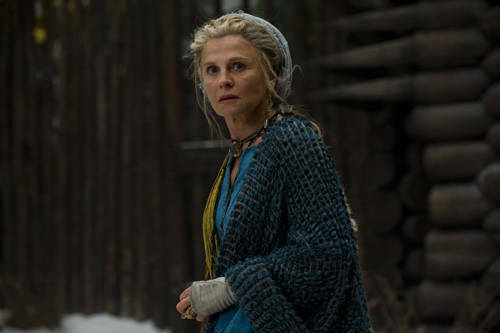 She lives in a secluded village that has been cursed by werewolf attacks for decade. But that’s hardly her biggest problem. Valerie is caught in a love triangle between Peter (Shiloh Fernandez), a woodcutter and Henry (Max Irons), a blacksmith. Things only get worse when the wolf attacks begin again and the maniacal Father Solomon (Gary Oldman) comes to the village to kill the wolf for good. Needless to say it was a very interesting movie. Here is what I came up with. A bit of foreshadowing, perhaps? Catherine Hardwicke, you have done it again. Within the first seconds of Red Riding Hood, I experience a bought of déjà vu. Sweeping overhead shots of trees? Kind of attractive, monotone actors? Star-crossed lovers? Long painful stares between said lovers? A supernatural element? Too many jumpy shots and flashbacks because the audience can’t put the pieces together on their own? Oh, great. It’s Twilight 2.0. It’s all fine though because there are enough differences to distinguish the two movies, namely there are fewer annoying actors in Red Riding Hood. And at least Hardwicke is a consistent director. There is a lot you can infer from the film’s visuals, sets, and props. For instance, the trees are adorned with very large, pointy thorns sticking out from the trunks as are the homes in the village. Gee, I wonder what those could be? Who needs men around when you have these tools to protect you? Don’t even get me started on that red cape and what it looks like when Valerie and her boy toy are getting cozy on it. Talk about a charming secluded mountain village with a low real estate value. The villagers have been tormented by a werewolf for decades. Only animal sacrifices seem to keep him subdued during the blood moon. When they think they finally kill the wolf, the villagers rejoice with a risqué celebration in the square. Valerie and Peter join in with the group dancing except it is just not with each other and not of the Pride and Prejudice variety. Valerie gets down with her friend to make Peter jealous. (How Mount Holyoke of you, girl!) It works and the two go off to hook up in some barn. Naturally, a wolf attack breaks up the village’s lewd behavior. 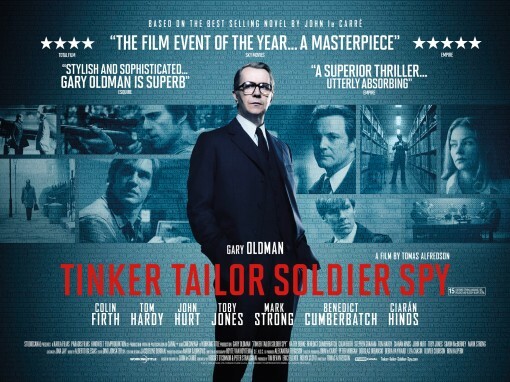 Gary Oldman’s sinister Father Solomon steals the movie with his love of Roman torture techniques, silver fingernails, and appreciation of red meat. He is also someone religious group can adore. During the battle scene following the villagers’ display of unchristian like behavior, he attacks the wolf shouting “God is stronger” over and over again. It’s a not quite so subtle message but also a largely ineffective one. Have you seen my Popemobile? The woodcutter or the blacksmith? Who will Valerie choose? Yeah, it’s about as interesting as it sounds. If only they had faced off by singing “Valerie“. 6. And when your relationships don’t work out, you can become a spinster in the woods. All the single, independent ladies (okay, just Grandmother) get to live outside of the village. It’s a swanky house that is much nicer and more spacious than anything in the confines of the village. Plus, you get to wear colorful dresses, wear head pieces, rock some disheveled braids, and be totally awesome. Better yet, you get the luxury to think for yourself there. Now put your hands up, Julie Christie! 7. Lukas Haas needs to be in every movie. Period. The best moments of intentional comic relief only came with Haas’ Father August graced the screen. He needs to be in more movies asap. This movie has many flaws and is easy to mock but Seyfried’s natural charm and screen presence really helps it as it limps along. I’ve noticed that no matter the movie she is in (cough, Dear John, cough) Seyfried can usually keep a sinking ship afloat until the credits roll. Still, she deserves to be in better movies. I can't believe I have to put up with this village. 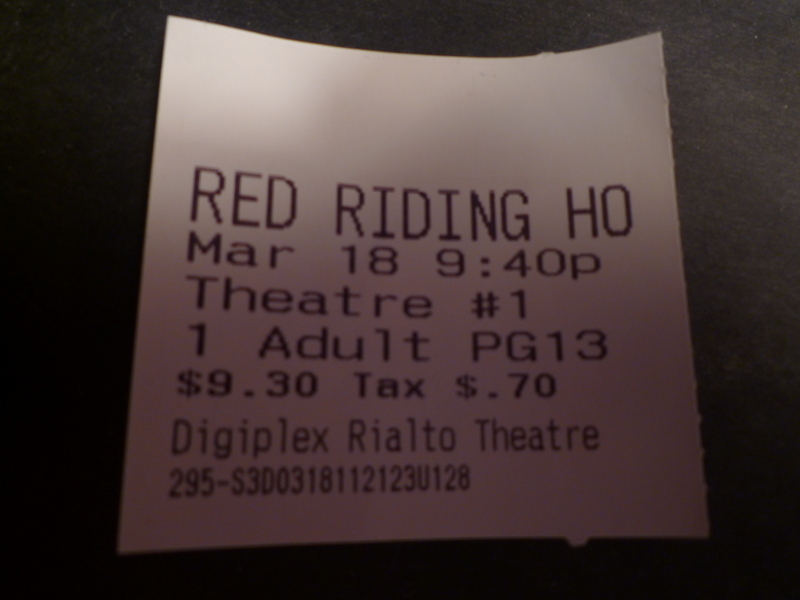 Although Red Riding Hood has plenty of flaws and is very, very easy to pick apart, I was greatly amused by the movie and had fun during it. Have you checked out Red Riding Hood and, if so, what did you think? What beloved fairy tale should Catherine Hardwicke tackle and suds up next? And do you think Amanda Seyfried deserves better?